These TAG F1s seem to be quite sought after nowadays, possibly nostalgia? Didn't everybody have one or know someone with one? This one is in good condition, unlike the tired examples on ebay. It is in the best colour combination. The original rubber strap has not been cut down either. 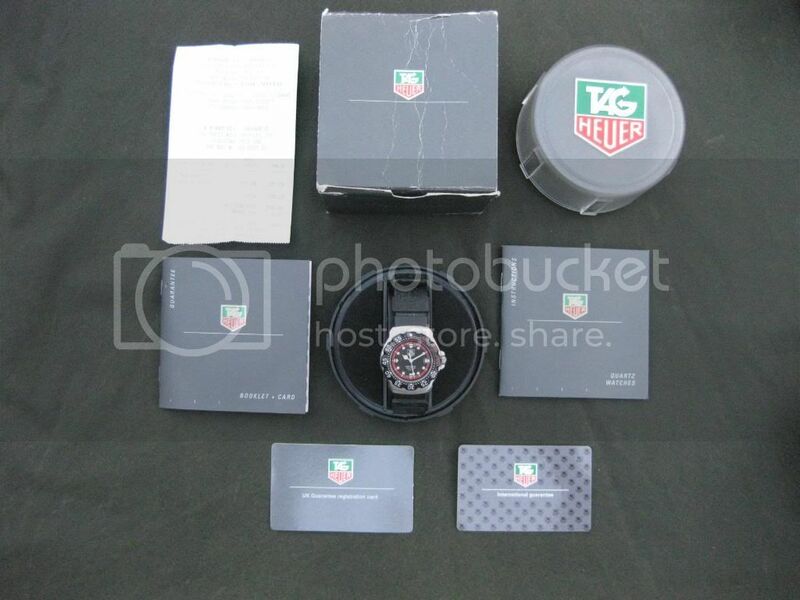 Unusually, it has its original box, papers, guarantee cards and even the sales receipt! It needs a new battery so it's £80 including shipping. 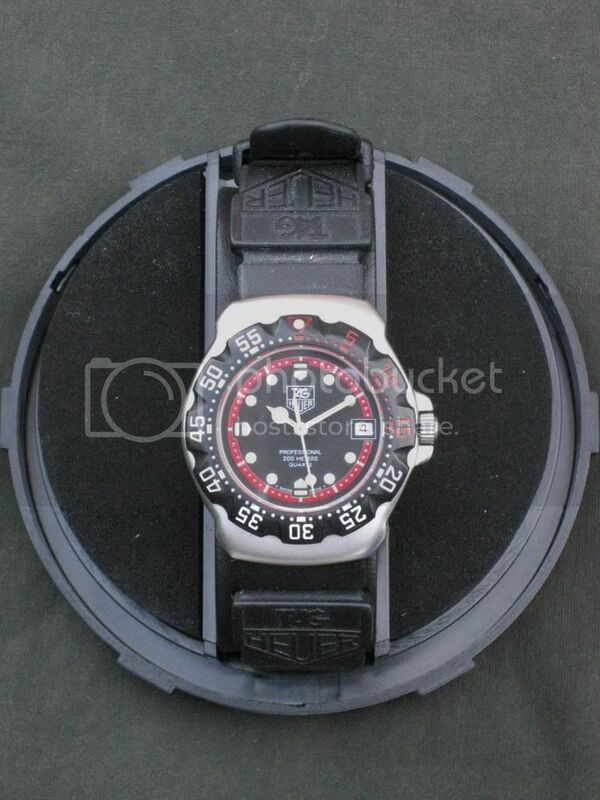 Alternatively, I would be interested in swapping it for a military watch, plus cash either way. Last edited by StampeSV4; 06-09-2009 at 20:21. Sorry for not posting before but this has been sold to a very good home.